Kylie it's stunning, although I'm sure you could have done without all the hassles . When I have my own place subway tiles and dark grout will be a must. Looks beautiful, what a horrible experience though! It's beautiful! You need to do some exorcism/smudging type ceremony (in a not too hippy totally cool Kylie sort of way) to rid you of the demons! I have a green Jason light like that in the shed awaiting our renovation. 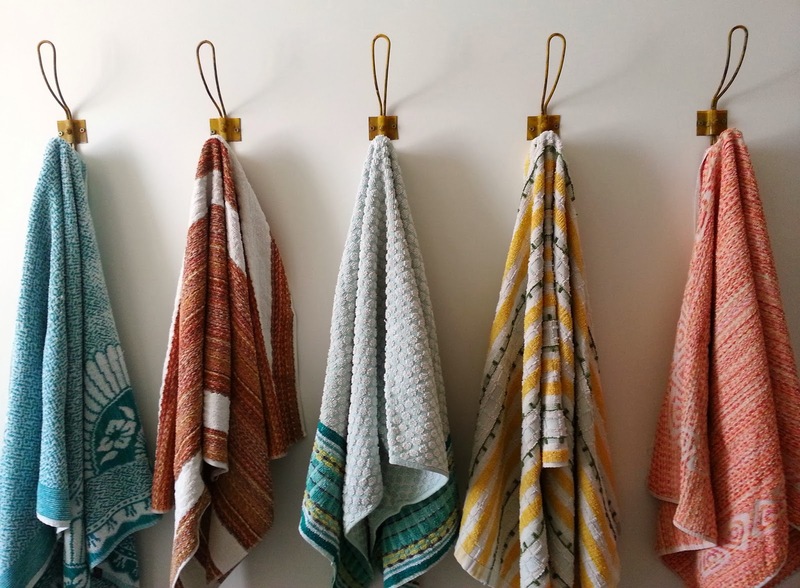 Oh and I think there are two types of people in this world - those who like their towels fluffy and those who like 'em scratchy, Definitely scratchy for me. Love love love your tiles! And the shower curtain! Kylie, it's really beautiful. I love everything about it. The floor is gorgeous, and the vanity and fixtures are perfect. And those frames...wow! 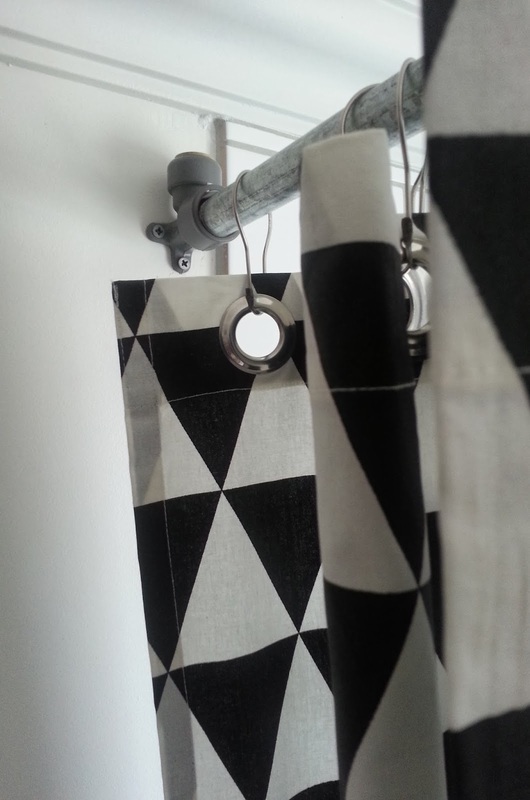 The shower curtain is perfect with your decorative tiles, and the rod is genius. I know the process was frustrating for you, but the end result is lovely. Oh Kylie, it's gorgeous! Just beautiful. Despite all the drama you should be very happy with it, all of your choices are superb! Love it. Kylie it looks beautiful! 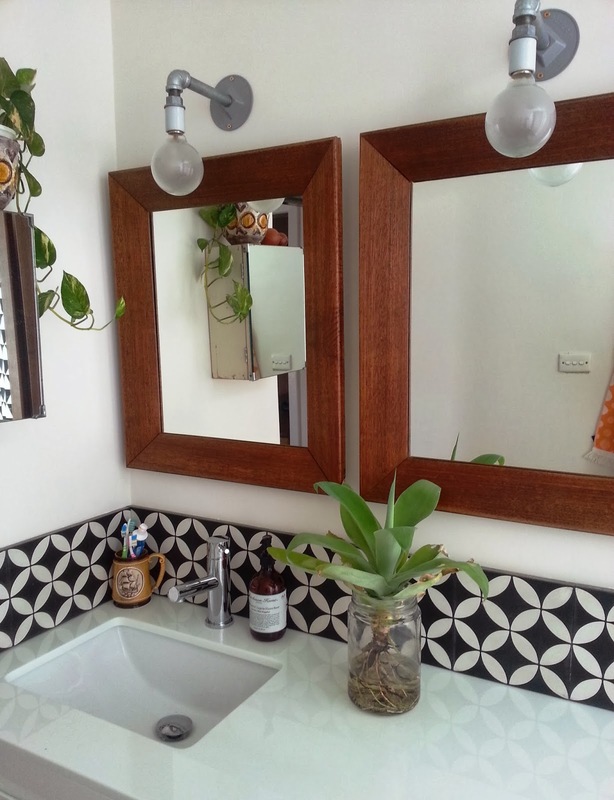 Love those tiles, the framed mirrors, those wall hooks (I think I might be getting some of them for us - bathroom or laundry!) And I have a very similar looking green pendant light in our shed that I got for $5 at a market! I think one day I would love it in our kitchen. Oh, and old scratchy towels are definitely the best. Soft fluffy ones don't absorb anything. people aren't reading blogs any more? must have missed that memo haha! wowsers..... now, that's what i call a bathroom. gives me courage to go on...! Industrial Chic Beauty...so well done Kylie...I would move in tomorrow...I am now looking for the uk equivalent of Melbury where you bought your hooks. Love all your stuff you have the bestest taste!! I have ginormous shower head envy. *Love* the whole look - you've got a great eye (two, obviously). WOW! What a transformation, it looks wonderful! Oh it's absolutely gorgeous Kylie! Oh Kylie, the bathroom is just stunning! 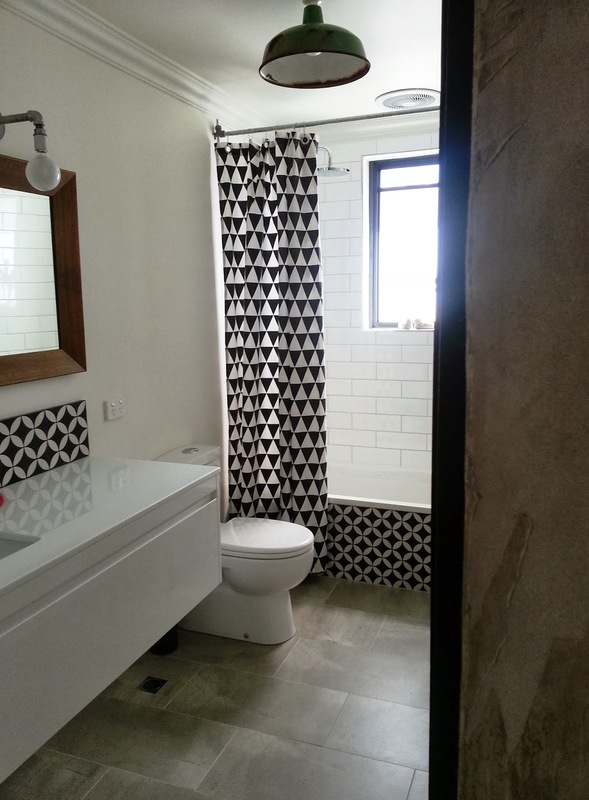 I love it all, the pattern of the tiles, the subway, the old pendant light, the wooden frames. Every tiny detail is beautiful. Just stand back and bask in how amazing it looks and try and block out the trauma of how you got there. I totally get you about the unfairness of it all though. We had a very problematic reno with our first house a decade a go and we were determined to do everything we could to make this one run smoothly and we still hit some fairly major snags. 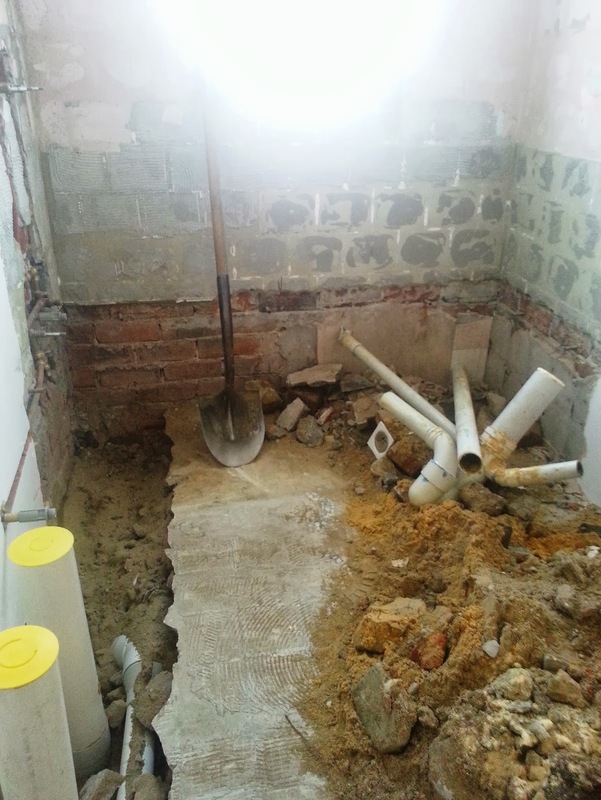 We do still have a fairly good relationship with our builder and would use him again but it was certainly very stressful at the time and disappointing to not have the breezy experience that many seem to have. Love it! Amazing, beautiful, unique. 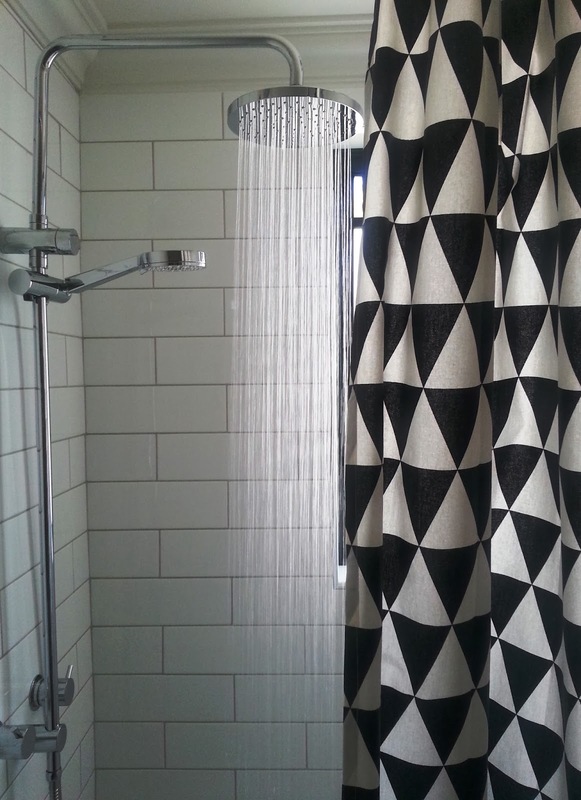 I have the same shower head and it cures all my ills! Those tiles! !